Create subtle or defined makeup looks with Pupa's IL Principino in 'Cool Shades', a portable eye and lip palette combining four eyeshadows with a creamy lipstick and lip gloss. 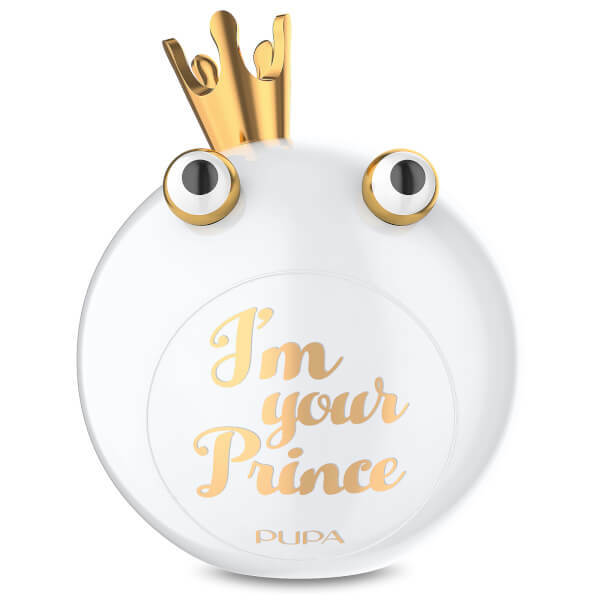 Housed in a novelty, frog-shaped compact with built-in mirror, the palette (from the brand's 'This is a Love Story' collection) features four cool, neutral-toned eyeshadows that deliver highly pigmented, easy-to-blend colour, and two luscious lip colours to create a glossy, fuller-looking pout. Perfect for popping in your handbag, it is equipped with a sponge tip applicator with regal gold crown detail. Eyes: Apply the eyeshadow in the lighter colour next to the tear duct and below the eyebrow arch to create highlights. Use the medium shades on the mobile eyelid and then intensify the tail of the eye with the darker shade to make the eye look longer. Lips: Apply lipstick all over the lips and gloss only at the centre for a 3D volume effect.